Is the Biology textbook by Clegg any good? 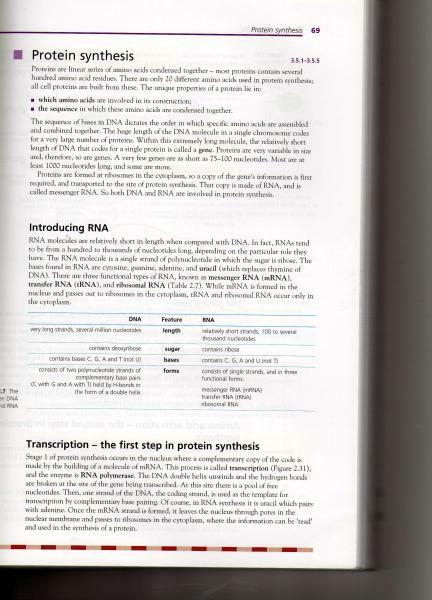 I really want to buy the Biology textbook by Clegg. I've heard a lot of good reviews of it. Would you recommend it? [Hopefully what I'm about to type next is okay ^^;;;] But in Australia, it needs to be specially ordered, and it's quite pricey. So I guess, I was wondering if anyone within the Sydney area had a copy they wanted to sell? Anyway, even if there isn't I'm seriously considering to purchase it, except I don't know what the content looks like. I've been trying all over the net to try and find a sample page or two, except I haven't been able to find any. So, I was wondering if anyone knew where there is perhaps a sample page or two of the book? I own the book. It was really expensive but still pretty useful - though most similiar information can be found by doing some googling x). Anyway, I scanned a page for you. Hopefully that will be useful for you. Let me know if you need any more information about it. I recognised the book from the scan That was the textbook we used at school. Unfortunately, ours was borrowed from the school librrary so I had to return it. It was quite useful, it's where I got all my information from, mostly. The diagrams are pretty useful, especially if you use some tracing paper to trace them til you remember them. I'd recommend it to you, because I know I would have been lost without it!